It's October 1st!!! Can you believe it??? Seriously, I can't. September went by so fast! I've been spending nearly all my time downstairs in the quilt studio, so much so that I can't tell if it's day or night sometimes! My neighbors are convinced I've gone into hibernation early this year. They always joke that no one sees me from Thanksgiving until April 1st. LOL! Full House Schnibbles by Carrie Nelson for Miss Rosie's Quilt Co. It's one of Carrie's newest Schnibbles patterns. It was love at first sight when I saw this pattern!! I knew I couldn't wait to make it. I almost copied Carrie's quilt exactly. The charms squares are Little Gatherings by Primitive Gatherings. I love these fabrics!!! Being the Primitive Gatherings groupie that I am, you know I had to make my version of Full House with these too! On the pattern cover, the borders are the red from Le Petite Ecole by French General. After much fabric auditioning with Kristin, we decided we really liked the steel blue/gray from Le Petite Ecole. It was in my stash, which was even better!! 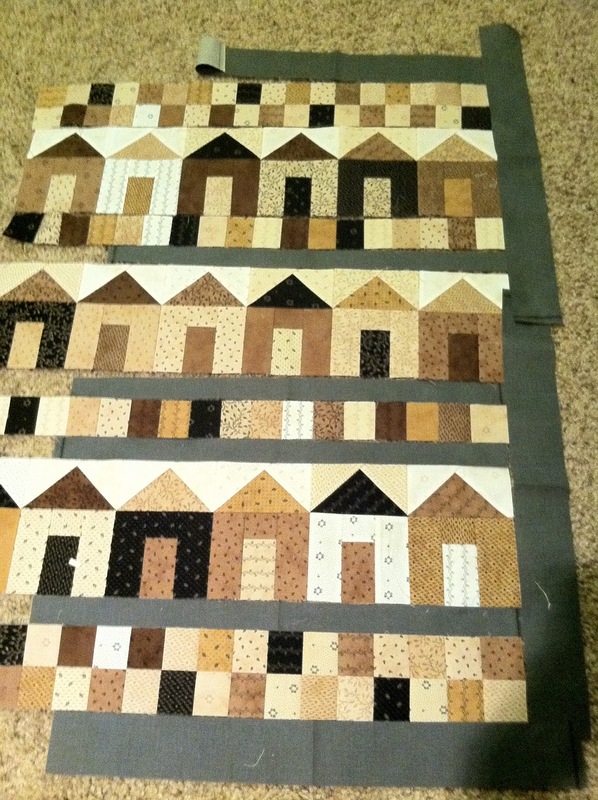 I think this border fabric choice makes it look just a bit more prim. The colors look perfect in my house!! I managed to finish this project last week. I surprised myself. I just try to sneak a few moments here and there for my own sewing. Literally moments, but they add up. Baby steps. One thing that helps, I size my fabric as soon as I bring them home. That way they are ready to cut when I need them. Honestly this was one of the fastest Schnibbles I've ever made. It went together like butter and perfectly! A credit to what a genius Carrie is! This was our last Le Petite project. BUT, I'm looking forward to making more Schnibbles in 2012! Sounds like Sherri and Sinta are going to be hosting "Another Year of Schnibbles" starting in January. I wonder what the first Schnibbles pattern will be...maybe Bibelot?? Make sure you stop by Sinta's and Sherri's blogs to see the Le Petite parade of Schnibbles. AND make sure you wish Sinta a Happy Birthday too! Your Le Petite is just wonderful! I think I might have to make that little Schnibbles now too thanks to you. I love that quilt - I'm very partial to houses on quilts! Great colors too. WOW!! I have GOT to make this one!! Love it! Thanks for sharing! Love, love your Full House and I'm thrilled that you've been enjoying moments of sewing. 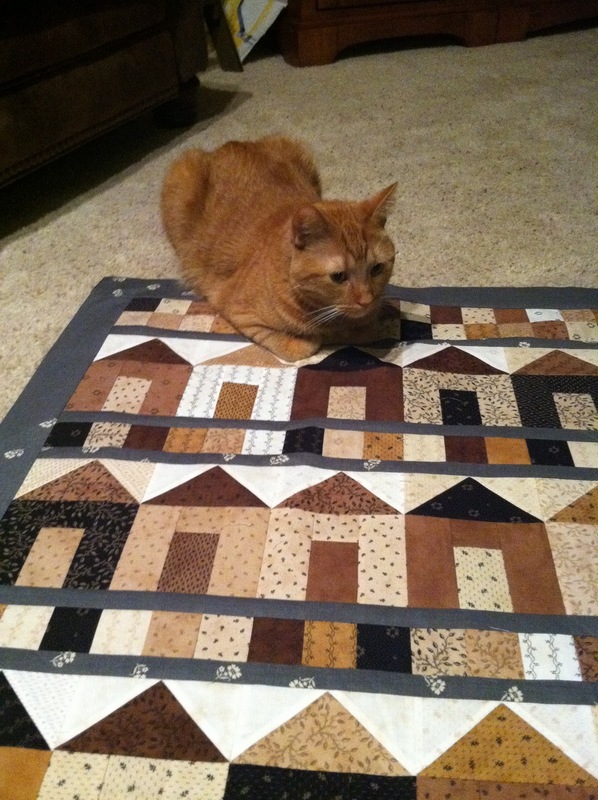 Beautiful quilt... *lol* @ Scooter, the quilt attack kitty! 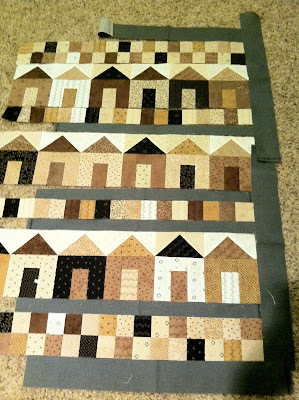 Ooooooh, I love browns and creams and I adore little house blocks! And I'm with you on October - my favourite month, too. Birthdays (mine), Hallowe'en, Thanksgiving here north of the border, falling leaves and blustery days that together smell of rich, clean earth. Never saw a pile of leaves I couldn't resist kicking to smithereens. Happy birthday in advance! Linda, I really love this Schnibbles. Love the fabrics and I just love house quilts! Way nice! Looks great...I thought we had another month left, silly me! Hope I can join in again next year! Adorable quilt. I love houses. These fabrics you chose are great. No, I can't believe it's October 1st - where'd summer go? But, I L.O.V.E. fall!! Your Full House is beautiful. I am very excited for A Year of Schnibbles 2012! Great Schnibbles choice. It is perfect! Also love your choice of fabrics. That Schnibbles is just too cute! I wanted to make that one in those fabrics too! I love it! I am not normally a fan of house blocks, but done in the Little Gatherings, yours looks so good I might have to change my mind! 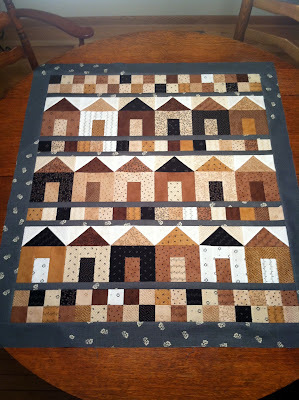 Love your little house quilt - Lisa's new fabrics are the best! I enjoyed seeing your Le Petite in the parade and here! This is one of many Schnibbles patterns I want to own! What a fun month and a fantastic quilt, Linda! The French General is SO perfect for the border! I can't wait to get started using my Little Gatherings! 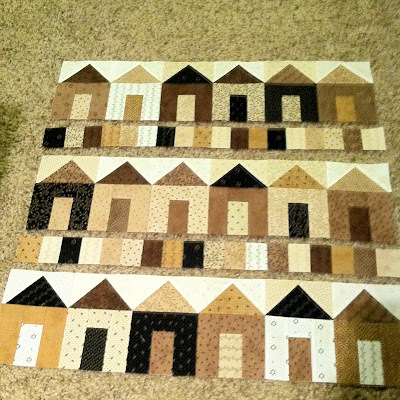 I love that pattern and I'm looking forward to seeing how you quilt it! I LOVE this pattern. 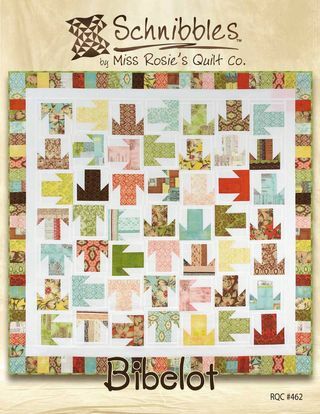 I've been to two quilt shops looking, but they don't have the pattern yet :-( Maybe I should just order it online. I've always been drawn to house patterns, and this one is perfect. Thanks for sharing all the details of how you made it. It's a beauty. Oh wow I love this pattern , always did like house patterns and this is the cutest one yet ,well done!! LOL, I'm still campaigning for a name change, thanks for your support! Your Full House is great, that pattern is on my To Do list. Congratulations on stealing a few moments for yourself and getting it done! Love this quilt! I am going to order the pattern too. Your should always make time for yourself! Scooter is as funny as my kitty! Perfect fabrics for your little town. Great job.